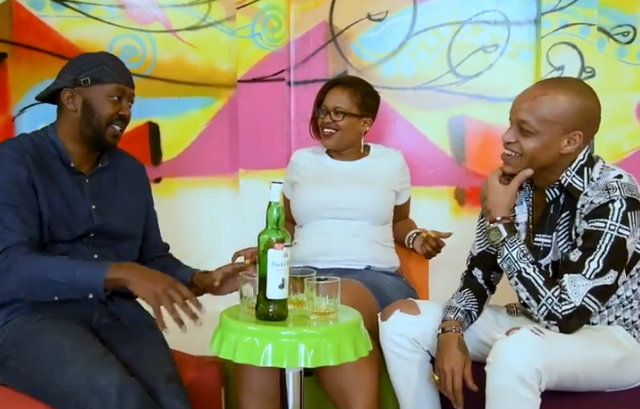 Former Ebru TV news anchor Kamene Goro, during a sit down with fellow NRG Radio Breakfast host Andrew Kibe and guest Prezzo, talked about various topics and even opened up on their private lives on camera. Goro and Kibe host a sponsored drinking game called Whiskey Challenge that have them talking about various issues. In the latest edition, the two gentlemen pushed Goro to open about her life on camera. After drinking a few shots, all neat, Goro went on and opened about her life saying that she has slept with 27 guys leaving many on the comment section shocked. She also revealed that her first relationship left her traumatized since her boyfriend assaulted her breaking her virginity.